For sale right now. This is a rare opportunity to own a Jason Drouin Custom Home. We take pride in the quality of our craftsmanship and strive to produce a product that will provide the owners with generations of comfortable living! We specialize in custom homes, additions, remodeling, and land development. Jason built our first vacation home in 1999. During the building process, which was on time and within budget, we learned that Jason possesses an unusual combination of creativity, high quality of workmanship, and a keen eye on the bottom line. We are now living in the third home that Jason has built for us, and we couldn't be happier. Along with his veteran crew, he has built each of our homes like they were his own, offering input and ideas along the way, which in the end gave us the homes we dreamed of! He is truly one of a kind! We have had many homes built during the past 25 years by different builders, some for us and others for clients, and I can truly say, without a doubt, Jason builds one of the finest quality and fairly priced homes of them all. Jason's attention to detail with the finished project, especially the extensive woodwork we require, and meeting the deadlines we agreed to, are particularly outstanding.He says what he means and the finished product shows the professionalism you and your team put into a project. 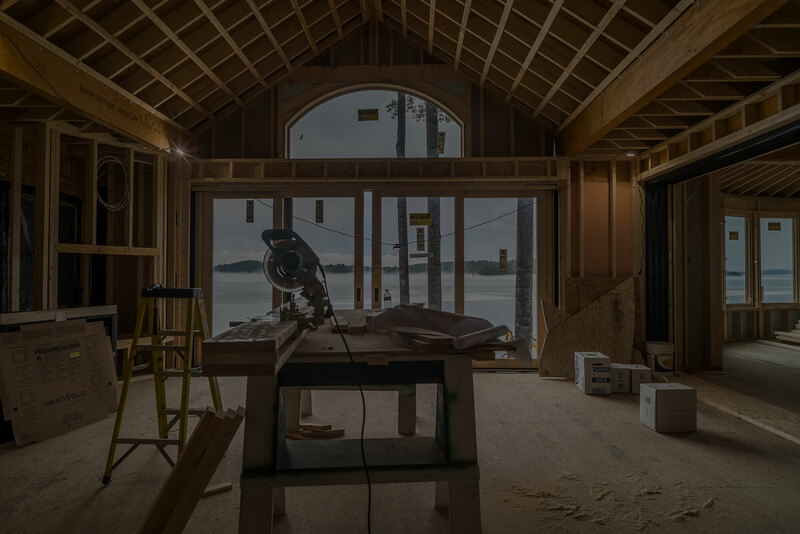 We have also viewed many of your other construction efforts that show the same attention to detail and professional approach to the completed building. I am thankful to have you as my builder of choice and would recommend you (and have) to anyone in search of a craftsman to build their home.